Do you have the right underwear? Like a good foundation garment, bonds should be the boring but predictable base of every investment portfolio – bonds such as Australian Government bonds, or those issued by quality companies. Some investors may be tempted by the ‘sexier’ version, the junk bonds or look beyond bonds to hybrids, but it’s the old fashioned, traditional bonds that should be the foundation of a well-diversified investment portfolio. That’s right! Surprisingly, a substantial number of Australian investors are ‘going commando’, without the appropriate foundation, namely bonds, in their portfolio. 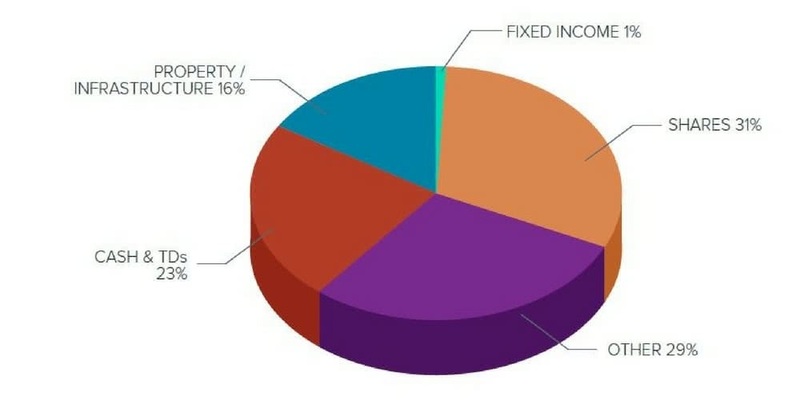 As illustrated in figure one, the typical institutional portfolio, based on a fund manager’s ‘balanced’ portfolio option, is well diversified across the major asset classes. The average SMSF portfolio shown in figure two has a similar exposure to shares and comparable exposure to property/infrastructure – but that’s where the similarities end. The fixed income exposure of SMSF investors is significantly smaller, and cash and term deposits substantially higher. 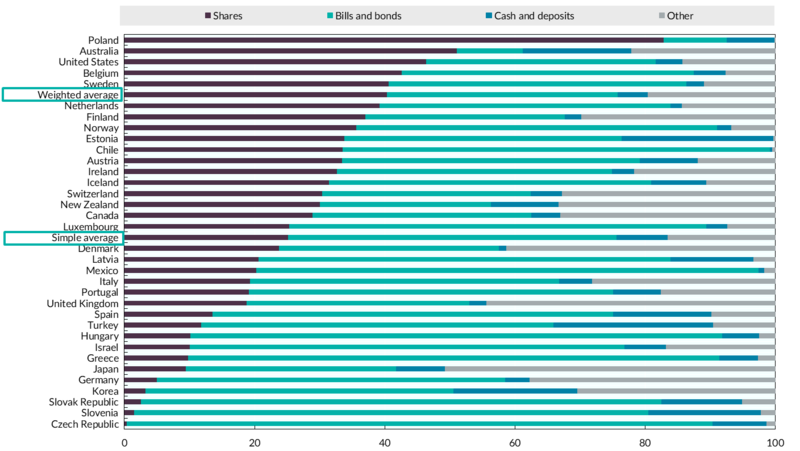 Figure three compares Australian and global investors; using pension funds as a proxy, you can see Australian investors are typically overweight equities, unlike the equivalent funds in other parts of the world. Even the US, with its sustained sharemarket bull run in recent years, has a more balanced allocation between shares and bonds. When you consider both the weighted average and simple average, along with the average SMSF asset allocation, Australian investors are significantly underweight bonds. What then, is the foundation of their portfolios? When the cash rate was reduced 25 basis points to 2.75% on 7 May 2013, it heralded an era of unprecedented low rates. Despite this, Australian investors continue to pour money into savings accounts and term deposits¹. 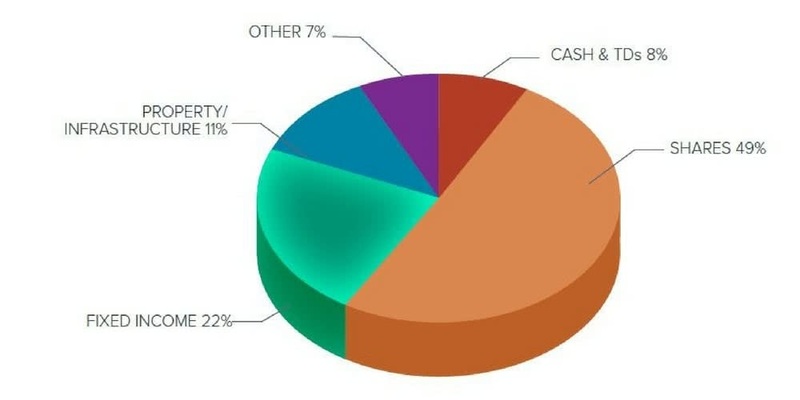 At end February 2018, APRA data shows Australians had more than $884 billion on deposit. Stop and consider the returns that money on deposit earns, as presented in figure four. Source: APRA Monthly Banking Statistics, February 2018. Note: TDs have the benefit of the Commonwealth Government’s support under the Financial Claims Scheme, making them less risky than bonds. Given a current inflation rate of 1.9%, once tax is paid on the interest income received, earnings would barely keep pace with inflation. In real terms, each dollar of income received would be worth less than when it was invested. That does not sound like a good foundation for an investment portfolio. Other investors may chase the higher return and opt for junk bonds or hybrid investments. Junk bonds refer to bonds issued by companies that generally have a low credit rating and a higher risk of default; as a result, the bonds need to provide a higher yield to compensate investors for the greater risk associated with the investment. These are not the sorts of corporates you’ll find covered by XTBs! The promise to pay a fixed or floating rate of return, at specified times, until a given date. This provides the bond-like features. The potential for the security to be converted into equity at a future time, or the security holder being subordinate to other creditors in the event of liquidation. This provides the equity-like features. While these more flamboyant products may be an appropriate accessory for investors with the appropriate risk profile, they don’t qualify as a fitting foundation for the average investment portfolio. Bonds provide income from regular coupon payments, which are generally quarterly or half-yearly and occur on set dates. As a result, you can accurately plan to match outgoings with the income you know you’ll receive from bonds. Most other investments don’t enable you to forward plan with such accuracy. Bonds can provide capital stability. At maturity a bond’s face value is returned to the investor. This makes a bond an effective capital preservation tool – assuming of course that the issuer doesn’t default. Bonds are classified as a defensive asset, with a different risk and return profile to shares; it’s this difference that provides the diversification benefit. While the prices of bonds will fluctuate according to interest rates and the economic cycle, historically bond prices have not been as volatile as share prices. Bonds are not exciting. You won’t get the crazy highs of the sharemarket, nor the sweat-inducing panic of a sharemarket rout. Bonds generally avoid the rollercoaster associated with shares. While it’s possible for a bond market to crash, investors generally lose money only when they sell, before maturity. If you hold a good quality bond – such as those from a top ASX company via an XTB – and hold it to maturity, the principal is repaid, and income (coupon) is paid for the duration of the investment term. Boring maybe, but a great foundation for any investment portfolio. Insights Article: Are you parking your cash in a bank term deposit, rather than making it work for you? William J. Bernstein (born 1948) is an American financial theorist and neurologist. His research is in the field of modern portfolio theory and he has published books for individual investors who wish to manage their own investment portfolios.